What if I don't know my birthtime? This is a psychic reading that is targeted towards empowering you to move through energy blocks to create your highest reality. Consultations are provided by appointment only and are held in person, by telephone, Skype or mail. The best forecasts are not those that come true, but those that warn, teach, and prepare. As an intuitive counselor, I strive to provide practical information to help you along your path of soul growth. I do not provide “fated, carved in stone” predictions because I believe you have the free will to crate the reality you want to live in this life. My intent is to help you conceive, visualize, claim, and achieve the Highest Path available to you. My goal is to help you open your heart to your Divine Essence, thereby pulling greater frequencies of your core soul vibration into your daily world.This empowers you to make enlightened choices for your life. Although this may challenge you to release things that are no longer needed in your life, it does free you up to expand your experience of joy, prosperity, healthy relationships, and appreciation for life. I have been providing intuitive readings sine the early 1980’s. 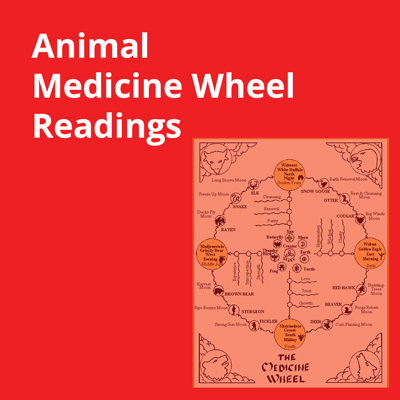 It seemed interesting to me that I took a class on reading tarot cards and I was able to do readings before I understood the meaning of the cards. Later, I found out that I had a grandmother on one side of the family who would awaken in the morning and tell people what was going to happen based upon a dream. The other side of the family had all kinds of strange things happen – like pictures lighting up after someone died, visions of deceased relatives visiting for a specific task, and so forth. It would have been nice to know that those talents were part of the family. However, Midwest Catholics in those days spoke of such things in only whispered tones, and never to the children! You session begins with a simple tuning-in meditation prayer. We affirm the Highest Good for you and all your relations. I then tune into whatever spirit wishes to share, and there is plenty of room for questions. I do not tell you what you should or should not do. That is for you to decide. I only look into the activities of other people of interest to you to the extent that both their higher self and spirit permits. Although it is compassionate of you to care about your loved ones, some things are just not for you to know. Divination tools like tarot cards are often used as part of your consultation to help apply the information in practical terms. I tend to see the timing of events by images of weather patterns or the seasons. I remember feedback from a client where everything I said was dead-on correct, but the description of autumn leaves falling turned out to be the fall season one year later. Intuitive information comes from some place beyond time boundaries. 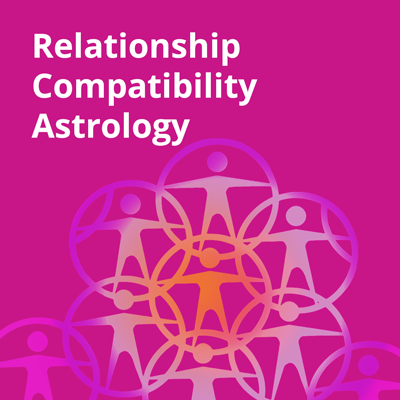 If you need specific timing, I suggest you look at the Initial Astrology Consultation on this web site. You may notice that I do not use the word “psychic” in the title. I separate the word psychic and spiritual. In actuality, they are probably one and the same. I feel that the word psychic has taken a beating due to skeptics, the marketing of “1-900” psychic telephone services, and readers who practice what professional intuitive consultants call “woo-woo” readings. It is common for all of us to want to know when the next relationship or job is coming in. But it is even more important to understand blocks or self-defeating behaviors so you can transcend them to manifest the best relationship and job. Hermetic Philosophers call this the Law of Cause and Effect. Your life circumstances are simply a reflection of your inner state of being. 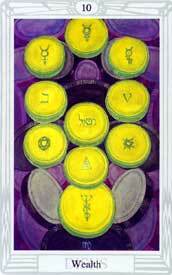 For more information on hermetic philosophy, an excellent resource is the book, “ The Kyballion” by Three Initiates. An Intuitive Consultation with Mark Dodich is likely to see the same incoming events in your life as a psychic reading, but it takes the extra step. A sore throat may require you to look at behavior patterns relating to speaking your Truth. A new relationship is likely to be a good thing, but wouldn’t you want to avoid repeating negative, old behavior patterns surrounding relationships? 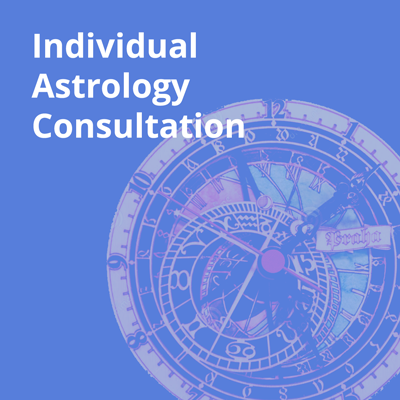 In summary, an Intuitive Consultation helps you to empower yourself to express the brightest and most loving aspects of your Divine Nature. I believe that everyone is intuitive. Some practice using their intuition more than others, and some are better at using their intuition for others rather than on themselves. Visiting an intuitive consultant helps give you clarity and objective perspective on what is already intuitively going on within you. A consultation helps you to more quickly move through energy blocks so you can focus on creating a joyful, productive, prosperous, and loving path ahead. Sessions are normally one hour and are available internationally in person, by telephone, or as a mail order session. One-half hour sessions are available, too. If you have a specific question and/or issue, a ¼ hour telephone appointment is available (also by appointment only). All sessions are recorded and by appointment only. Scheduling varies from as quickly as the next day to ten days later (late afternoon and evening appointments are usually taken quickly). For telephone and mail Intuitive Consultations, I prefer it when you postal mail me a note in your own handwriting. This is optional for existing clients, but it still helps speed the process of my tuning into you. You will choose whether to have your session in person, by phone, or Skype. 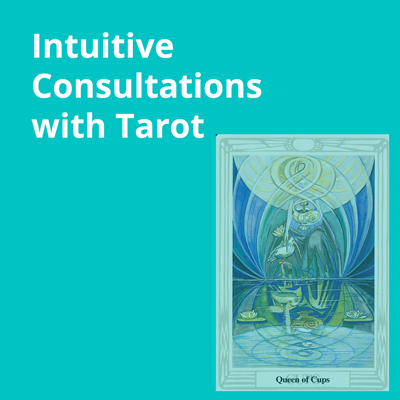 The normal intuitive tarot consultation usually includes me tuning in during an opening centering prayer, and then discussing what comes to me. 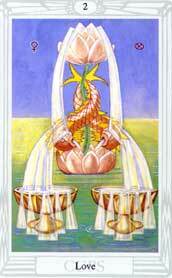 Then I like to tell picture stories using tarot. We will have time for your questions. I stay away from “fortune-telling” predictions. Your session is recorded. I will email you a link where you can download the MP3 audio recording. Appointments rescheduled with less than 24 hours notice are subject to a $25 fee. Appointments that are cancelled altogether within 48 hours of the appointment are charged $50 to help cover the cost of lost preparation time.